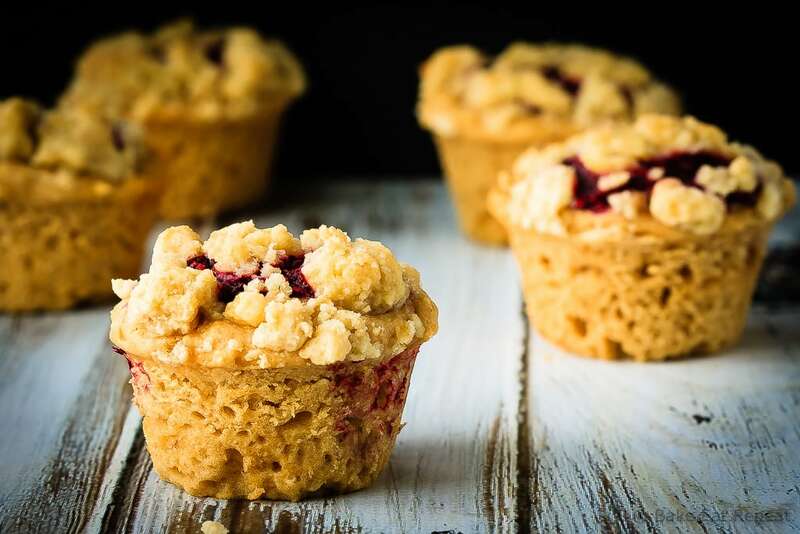 Peanut Butter and Jelly Muffins Recipe - Bake.Eat.Repeat. 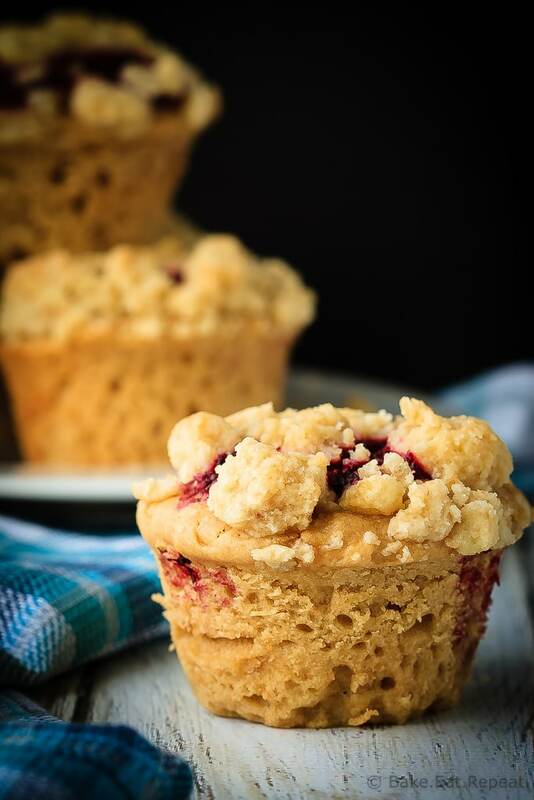 Amazing peanut butter and jelly muffins – light and fluffy peanut butter muffins with a homemade raspberry jam filling and a buttery crumb topping! I love muffins. I’ve mentioned before that if I could have a blog (that people want to read!) that had nothing but muffin recipes on it, I would probably do it. But I’m not sure too many others are interested in a never-ending supply of muffin recipes! These peanut butter and jelly muffins are some of the best ones to come out of my kitchen yet. And that’s saying something, because like I said, I make a lot of muffins. And probably post too many muffin recipes anyways, even though I try to restrain myself. For months now I’ve been trying to create a perfect peanut butter and jelly muffin. Fluffy muffins with a ton of peanut butter flavour and filled with a homemade raspberry jam filling. You wouldn’t think that would be difficult to achieve. Evidently it is. So many tries. Good thing my kids’ll eat anything that remotely resembles a muffin so at least no food was wasted! Some were dry, some didn’t have enough jam, some had too much, too sweet, not sweet enough, on and on and on. But these peanut butter and jelly muffins? These are perfect. I’ve achieved my goal. A light and fluffy muffin bursting with that peanut butter and jelly taste that we all know and love. Maybe not the healthiest muffin recipe I’ve ever posted, but not the worst either. And you know what? They are totally worth it. 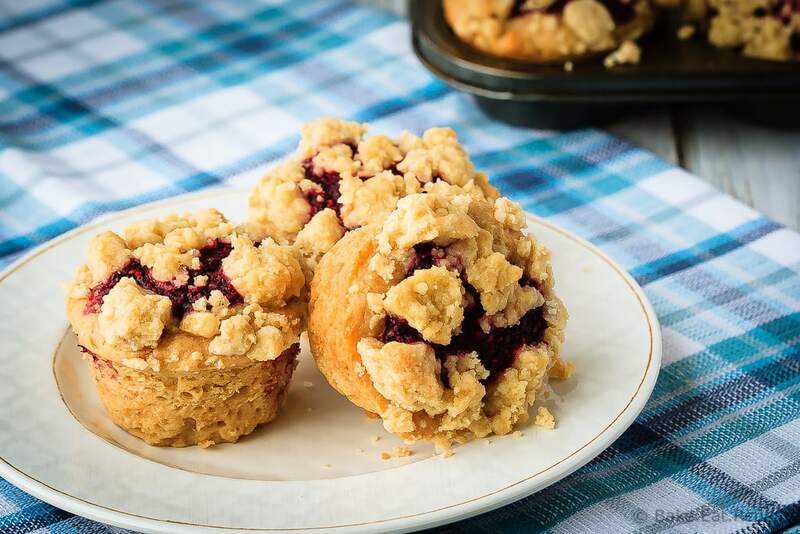 These muffins are the perfect snack, the perfect breakfast, just plain perfect. And if you don’t want to be bothered with making the jam filling, you can easily just use some regular jam, whatever flavour you like best. I think they would even be pretty fantastic without the crumb topping, so you could omit that if you want to make them a bit healthier. But that topping is kind of amazing. So you should probably just not worry about it and leave it on. And then you will be happy. I’ve also shared this Peanut Butter and Jelly Muffins Recipe over on Food Fanatic. How much jam do you use if you don't make homemade? I imagine the 1 1/2 cup of fresh fruit called for in the recipe does not cook down to the same amount? 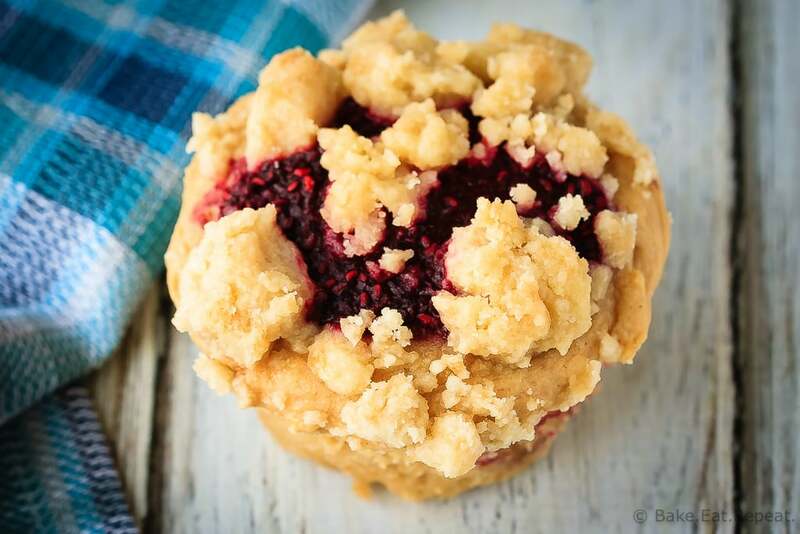 You use about 1 tablespoon of jam (or fruit filling) for each muffin, so you'll need 3/4 cup of jam for 12 muffins. So glad you liked them Jane! These muffins look delicious. I think I'll make them with my grandaughter tonite. We love muffins. I for one would love an all muffin blog. Has anyone tried these with blueberries? My hubby cannot have raspberries. Look amazing! I haven't, but I'm sure they would be just as good! Thanks Amanda! Hope you like them! these muffins sound so good! i love muffins too--they're my favorite thing to bake by far!